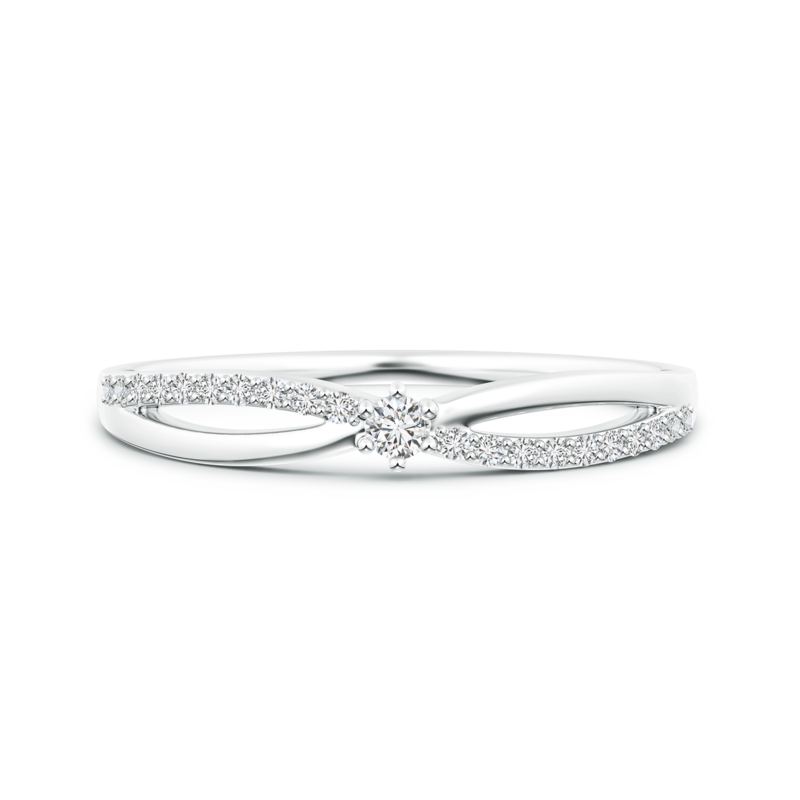 Love is a beautiful and pure emotion, just like the lab grown diamonds embellished in this exquisite ring. Set in 14k white gold, this creation personifies a flawless blend of opulence and sophistication. Sparkling lab grown diamonds are partially encrusted on one curve of the beautiful split shank, while a captivating prong set diamond solitaire is held within its heart. Every element of this stunning, classic lab grown diamond solitaire ring radiates finesse and refined craftsmanship.